I'm back wearing clothes by popular demand.. ANYONE REMEMBER ME ?? 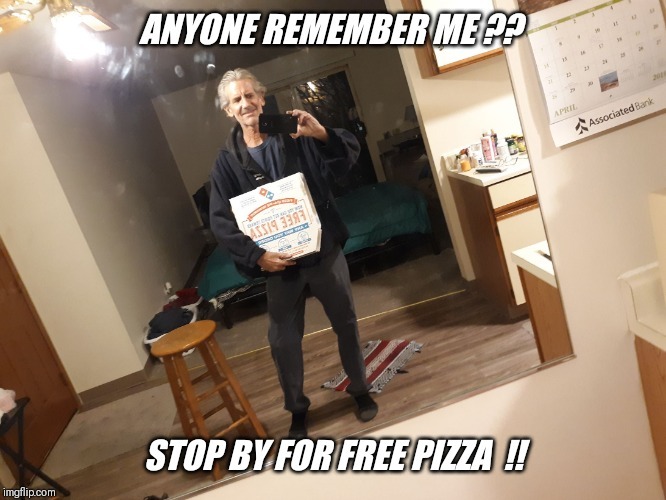 STOP BY FOR FREE PIZZA ! !